How do I force my phone to reboot or restart when screen is frozen or phone is locked up? Press and hold the power key + volume down key for 10 seconds to perform a force reboot on the device. Note: Data on your phone will not be deleted. 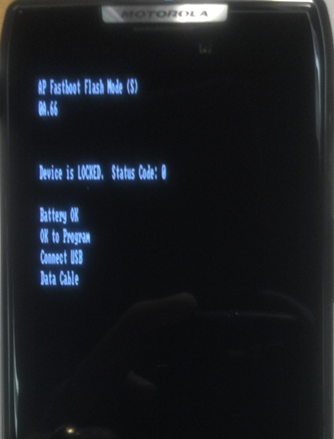 Note: If your phone displays "AP Fastboot Flash Mode" (CLICK HERE to view example) while powering on, simply press the power key and the device should power-up and function normally.